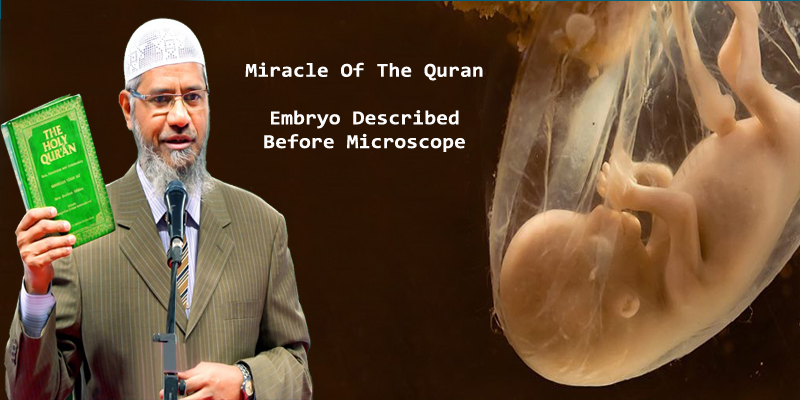 Embryology, the study of how the human embryo develops in the mother’s womb, could not progress significantly without the use of microscopes. Microscopes were not invented until the 17th century and were not used in this field of study until the 18th century. Dr. Keith Moore, Professor of Anatomy and Chairman of the Department, Faculty of Medicine, at the University of Toronto, wrote an article entitled “Highlights of Human Embryology in the Quran and the Hadith” in 1982. The above evidence shows that the Qur’an must be from God as it claims. The Qur’an says that you and every human being should consider this Book with care.